What is scoliosis? 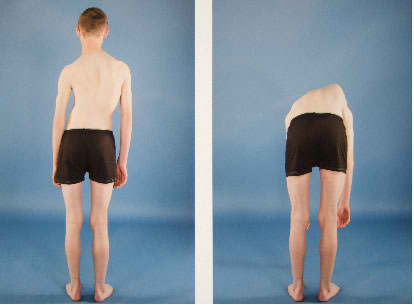 Scoliosis is an abnormal sideways curve of the spine that causes spinal pain, stiffness, degeneration and dysfunction. Most are idiopathic, meaning that a definite cause is unknown. Scoliosis can vary between a minor curve of a few degrees, to a life-threatening distortion. If scoliosis is detected early, treatment will prevent it from progressing and worsening over time. • One shoulder being higher than the other. • One shoulder blade may be higher or more noticable than the other. • There may be more space between the arm and the body on one side when the arms hang freely at the side. 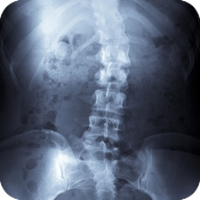 • One hip may seem to be higher or more noticable than the other. • The head is not aligned with the pelvis. • One side of the back appears higher than the other when the individual is viewed from the rear and asked to bend forward until the the spine is flattened. The best thing that a parent can do is have a Chiropractor check the child on a regular basis, say two to four times per year, so that any curvature development can be detected. However, in-home examination is also recommended as a way of early detection. Much severe cases may require bracing or surgery. Conservative treatment may help especially in the early stages of the disease. The following interventions have had some success in either preventing or reversing the progress of scoliotic curves. By combining chiropractic treatment into a program tailored for each patient and adjusted according to response, it is often possible to avoid the more unpleasant, expensive or dangerous treatment options. The treatment program should be started as soon as a scoliosis pain is detected. Just remember, “as the twig is bent, so grows the tree”. Using the Chiropractic approach may stabilize the spine and prevent the scoliosis curve from progressing. Chiropractic care for scoliosis can be effective, especially when the deformity is in the early stages. The treatment program requires a commitment by the patient, but if undertaken enthusiastically it has the potential to prevent the need for much more drastic treatments later on. This involves observing the child from behind, preferably in minimum clothing, and checking the horizontal levels of the shoulders and hips. 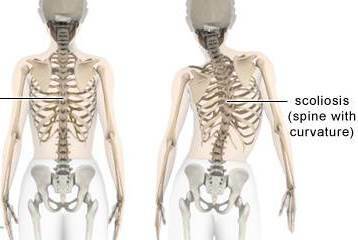 In the normal skeletal structure the spine is straight, the hips and shoulders level and the waists even. In the scoliotic spine the hips and shoulders tend to be uneven and the waistline flattens on one side and is accentuated on the other. When viewed from behind with the child bending forward, arms hanging down, the scoliotic spine produces a rotation which can be seen as a “rib hump” with one side appearing higher than the other. If a child has any of these indicators, then professional Chiropractic assessment should be arranged as soon as practicable. Scoliosis is most often measured by the method described by a man named Cobb. Lines are drawn on the X-rays of a scoliosis patient at each end of the scoliotic curve and the angle between the lines is measured. Call today, and get yourself or your child examined.